HSE regulations require Forestry and Chainsaw workers to carry a personal first aid kit which includes a large wound dressing in addition to having access to a more comprehensive first aid kit. 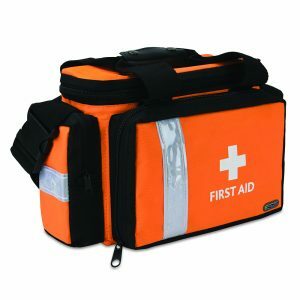 Choose from our range of forestry first aid kits specifically designed for working in forestry and outdoor environments. 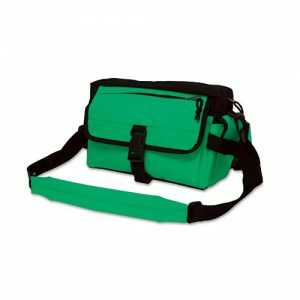 This Personal Forestry kit includes additional items and is supplied in a durable Nylon belt pouch, which can be easily strapped to a belt or harness. Colours may vary. 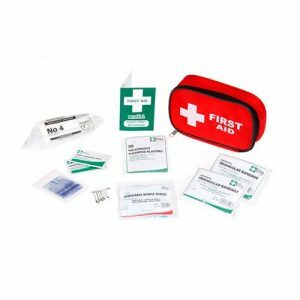 This forestry first aid kit is suitable for forestry workers, tree surgeons and arborists and has a comprehensive content to cover a small team of workers with more items available than a standard first aid kit. 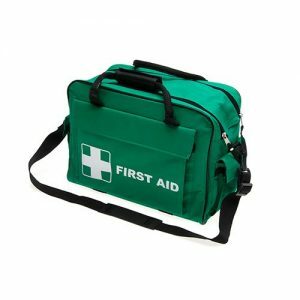 This forestry first aid kit is suitable for forestry workers, tree surgeons and arborists and has a comprehensive content to cover a small team of workers with more dressings, gloves and eye wash available than a standard first aid kit.